Uncovering Food: The Great Pumpkin Has Gone Missing! The Great Pumpkin Has Gone Missing! While millions of Americans feasted on pumpkin pie this week, few worried whether there would still be plenty of that delicious orange vegetable after the Thanksgiving holiday. It's official. In earlier months rumors of pumpkin shortages have circulated and many, including myself, laughed at the fear of those who stockpiled the canned pumpkin goodness. "Due to poor weather conditions, the pumpkin harvest is smaller than we expected so it may be hard to find LIBBY'S Pumpkin this holiday season. The heavy rains throughout the harvest have made it nearly impossible to pick our pumpkins. That's because tractors and other equipment are not able to move through the saturated fields. At LIBBY'S, we're proud of our quality and we know that you trust us to deliver the best. The longer the pumpkins sit in these muddy fields, the more likely it is the quality of the pumpkin has declined. So we've made the difficult decision that we will not pack any more pumpkin this year which means that through the holiday season and until next fall's harvest, LIBBY'S pumpkin will be hard to find." The San Jose Mercury News reported that: "Some chains have been pushing fresh pumpkins as alternatives. But Patti Milligan, spokeswoman for Los Angeles' Sprouts Farmers Market, said the season for pie pumpkins 'is pretty much over, and only a few of our stores still have them.' "
Although there is a shortage, many stores still have pumpkin on the shelves and you will want to grab a couple cans while you have a chance. I have a couple of delicious pumpkin recipes coming this week that just can't wait for next season's crop! However, once those pumpkins are gone for the season (and shouldn't we take pride in eating seasonally? ), there are lovely squash alternatives! 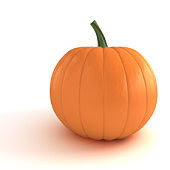 The Chicago Sun-Times published a great article on squash alternatives to the famed pumpkin. And Uncovering Food has a number of squash recipes that will help you forget your canned orange friend until 2010.
not a lot of the other squashes come canned. The vet has prescribed a little scoop of pumpkin at each meal for Ebbie, we give it to both dogs in place of canned dog food. They love the stuff. Our larger stores are out of pumpkin, both Libby's and the other brands. I actually posted a picture on my blog today of the sign that is up. We found some pumpkin in a little mom and pop store and are going to hunt for more. I eat pumpkin all year round! Butternut squash and banana squash are excellent alternatives to pumpkin. If you go to your local farmer's market or farm stand (if they are still open), you can get the fresh squash for very inexpensive, and then cook it, mash it, and freeze/can it yourself. My local farm stand, which is open until late december, sells squash for very minimal cost ($1 each or less). Even though it's a bit extra work that buying a can, it's so worth it to see all your hard work in the freezer/cupboard. Well, there are definitely a lot less pumpkins around in my store now than it was in October but there are still some available and I do think they always have more in the back of the store. man what a bummer about the pumpkin!! Good thing I stocked up!=) Thanks for the heads up. Those recipes that you linked to sound so great!! my unsatiated craving for pumpkin just got MORE out of control. why do we always want what we cant have? I heard about this....did you know there is going to be a shortage on waffles until the middle of 2010. Eggos...wow. Can you vote for me in Iron Cupcake? Pretty please...the link to the contest is on my latest post with a picture of my cupcake. It makes my oats really creamy! I had to go to 4 different stores to find canned pumpkin last week. I bought four cans, just in case.